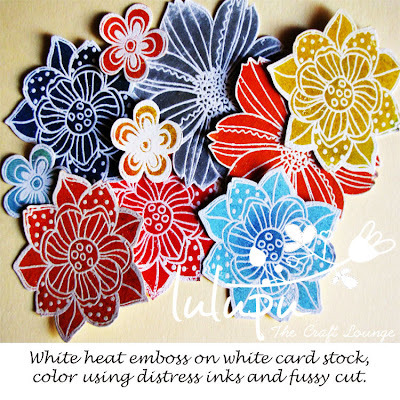 How To: Unique flower embellishments from stamps! 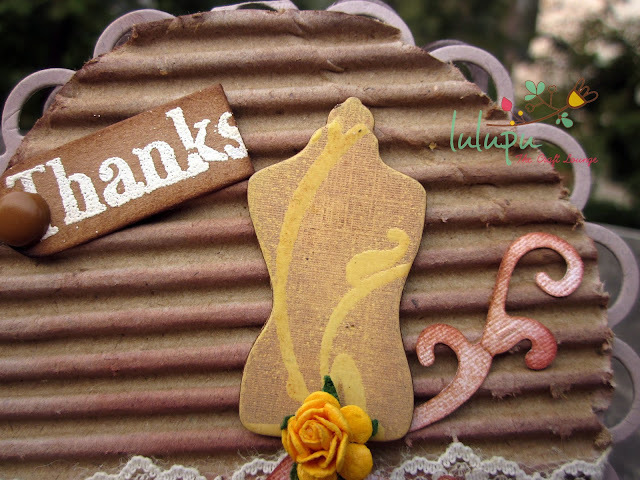 I hope you have enjoyed all the fun things going on the blog this month with some wonderful creations and tutorials from the design team. And there's still time to participate in this month's challenge, don't forget to play along. 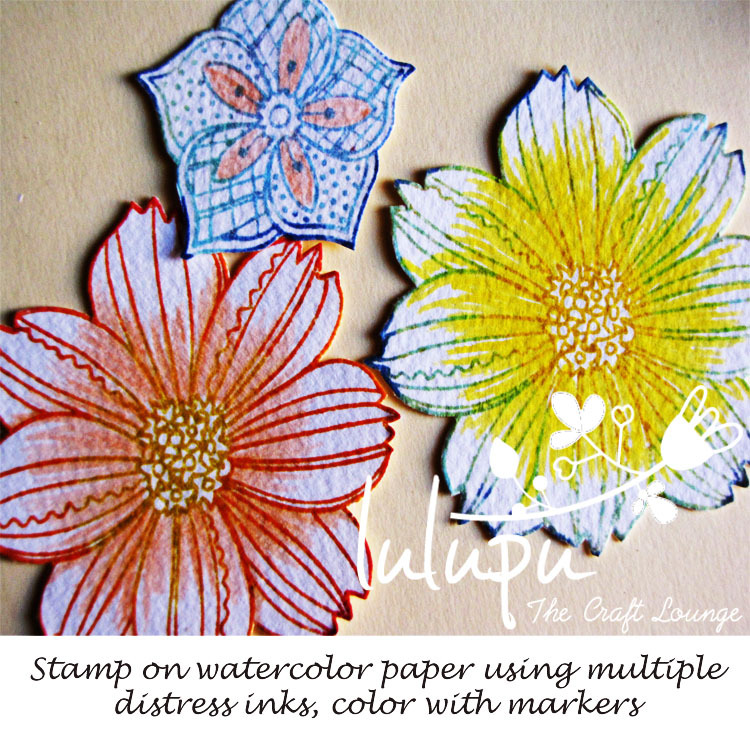 Today I am sharing some interesting things to do with your regular stamps, particularly flower stamps. I have to admit that from all the stamps that I own, floral ones have to be my favorite. I love how versatile they are and how they can be used to create some super fun and unique flower embellishments in no time. 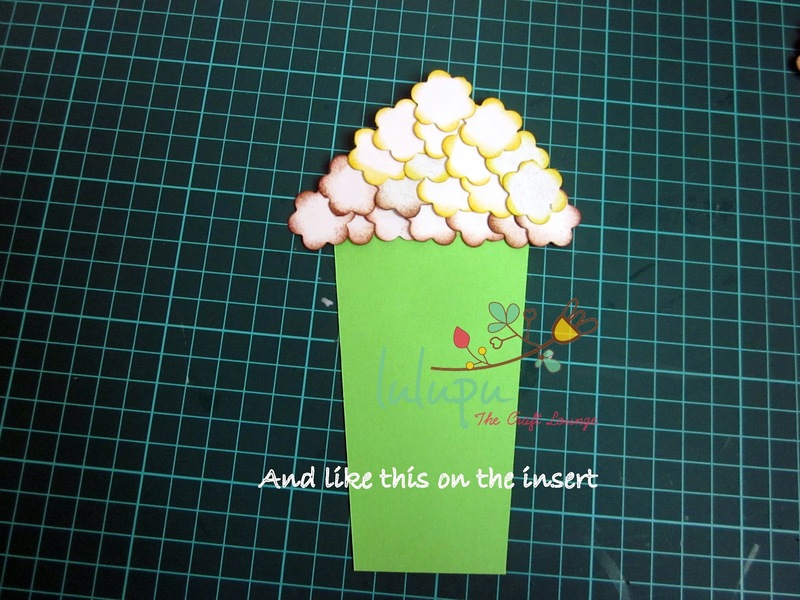 So let's get started and make some flowers. Experiment with colored embossing powder on different card stock to get some gorgeous looking flowers. 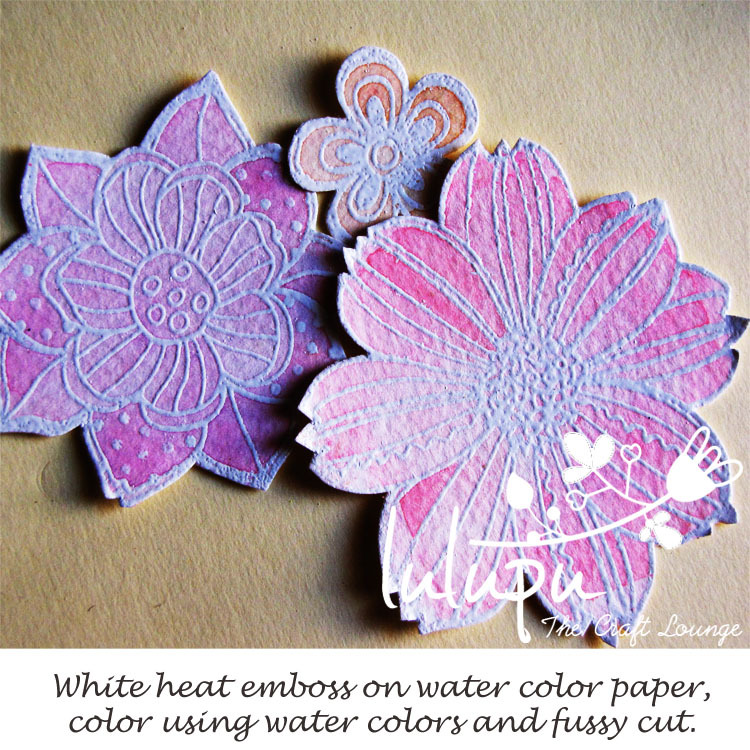 Colored embossing powder on different pattern papers to get some gorgeous looking flowers. 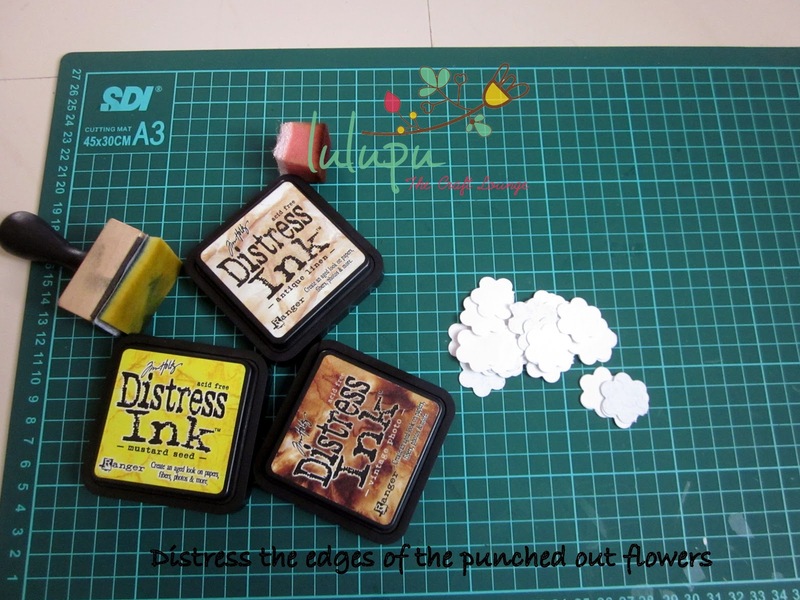 - Distress the edges using a dark shade of distress inks. - embellish with pearls, bling, brads or button . And here are my flowers all ready to adorn a project. Ain't they pretty?? 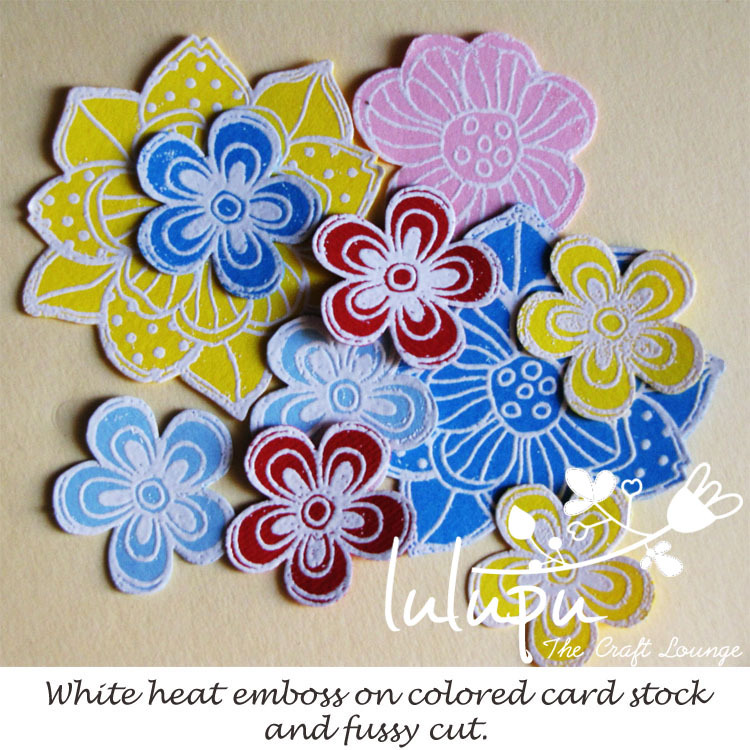 I hope you had fun and that you will try maximizing your stamps and make your own unique flower embellishments. 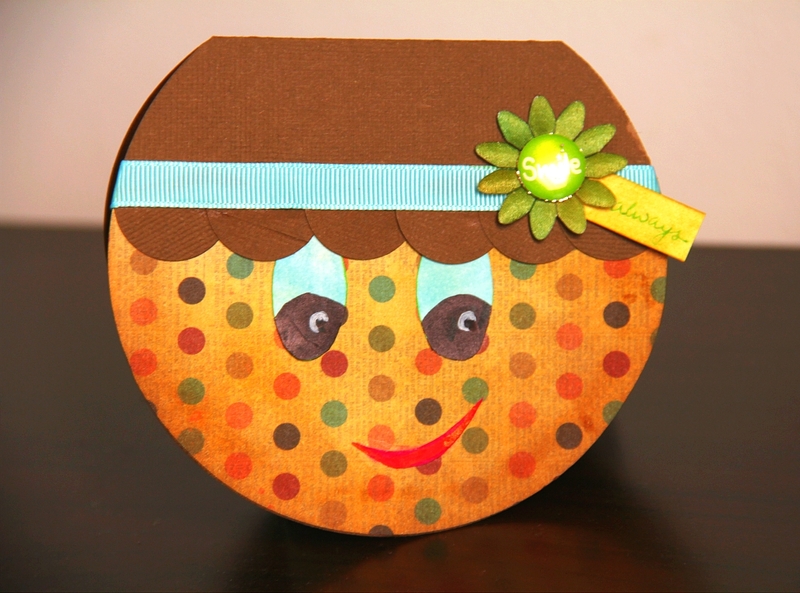 I have been busy this month as it was my daughter's birthday and as always I am exceptionally busy during my daughters' birthday months. 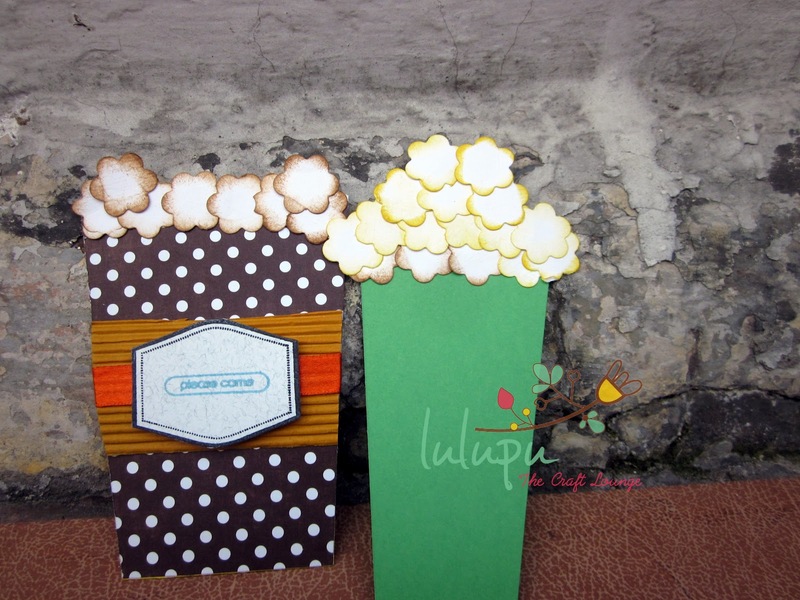 The theme of her birthday this time was "MOVIES" and so I decided to make these cutsie invites! 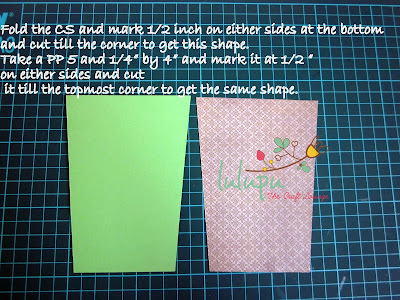 I am also sharing a pictorial tutorial so that you can all give it a try and let me know how it turned out! So please feel free to ask questions if you find it difficult to follow. This shaped card has been seen around the blog land as a "Flower pot"card. I have replace the flowers with some popcorns! You can use your imagination to mold the basic technique and make it a tea cup or a photo card too! 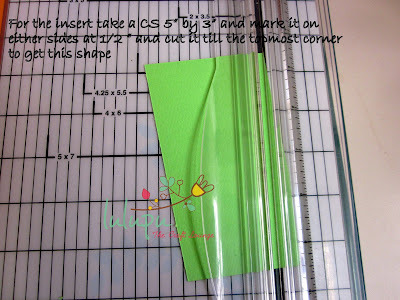 And here is how i made it! 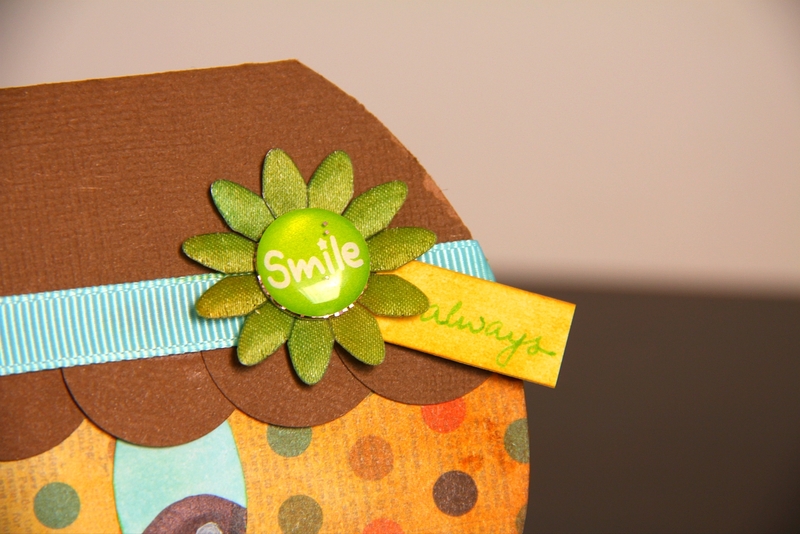 I'm sure you're all having a great time with all the shaped Shabby Chic cards that the Design Team is coming up with this month. I am here to add one more to the list. Hope you guys are all geared up for this month's challenge!! Looking forward to your entries! This is Shruti here and I am here to share with you a card I made that surely will bring a smile on your face. How cute is her hair band?! 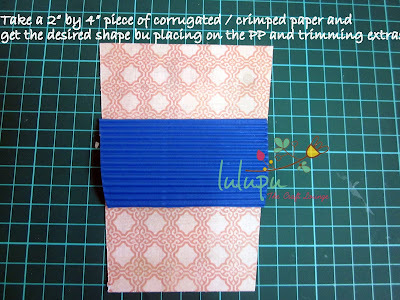 Here is a quick tutorial on how I made it..
Hope you are enjoying the fabulous Shabby Chic Projects share by Lulupu DT this month! 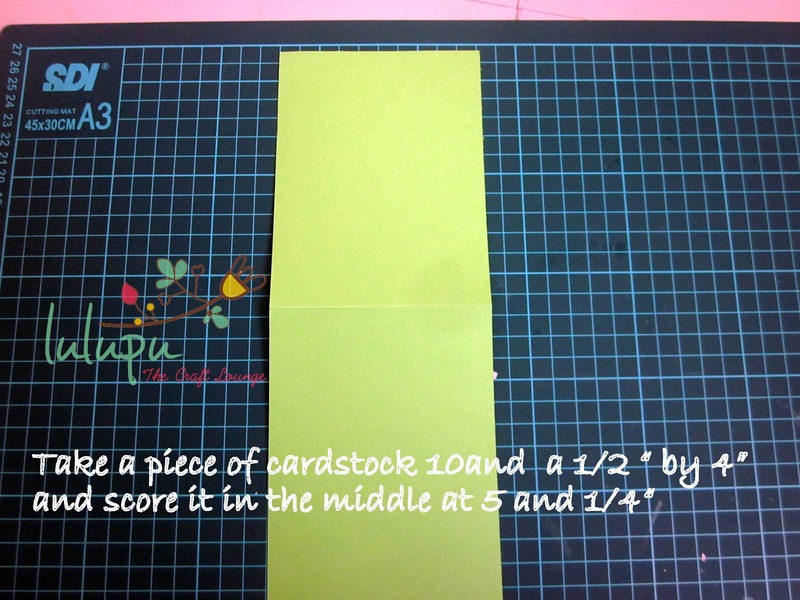 Best part is these are not the regular squares or rectangles but shaped cards! 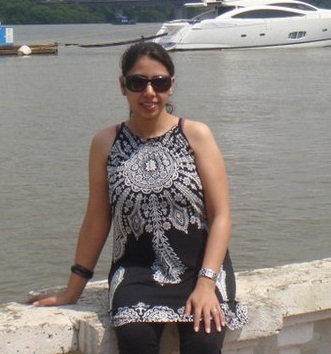 For this month we have invited Indira Tanwar who writes the beautiful blog http://arty-sorts.blogspot.in/. Karuna is one of the first Indian crafters I met through Facebook, and it was through her blog that I got introduced to ICR and got an opportunity to meet other Indian bloggers. 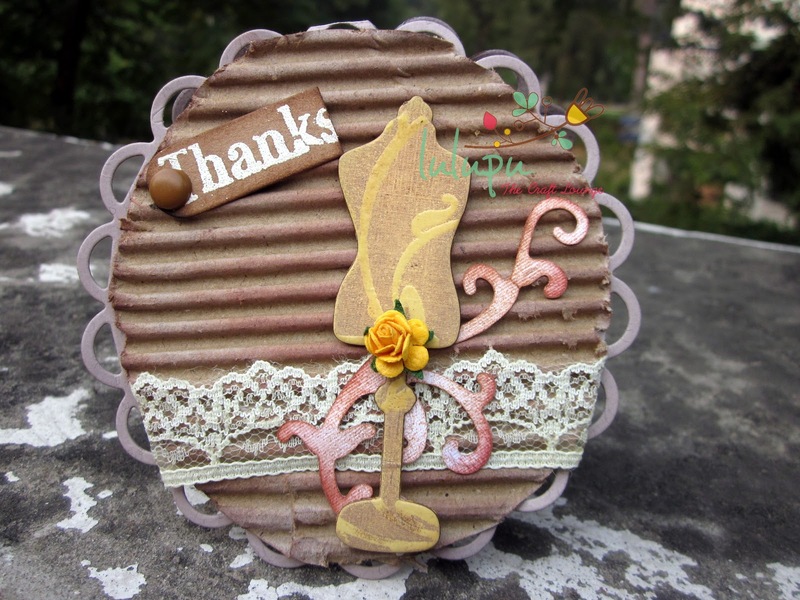 The challenge was to create a shaped Shabby Chic card and I have tried a jar shaped card for the first time! I made this card for my mom’s birthday and so I designed it keeping her in mind. 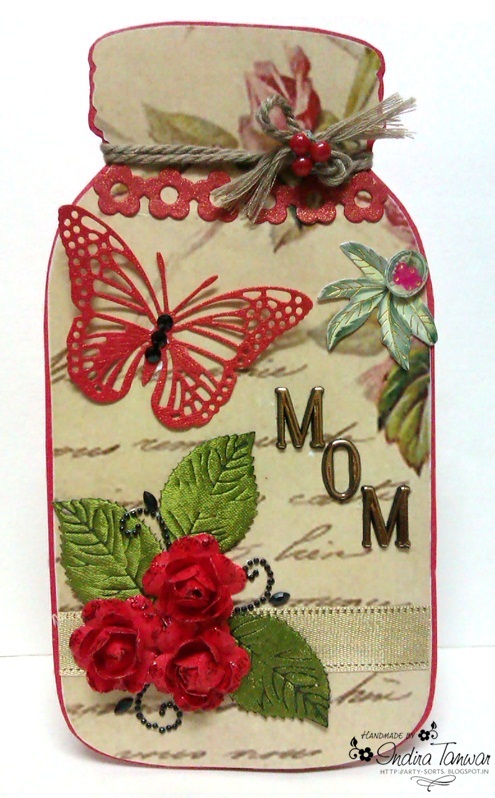 I wanted to make it fun and bright and chose a bright red color as the card base and for the roses too. 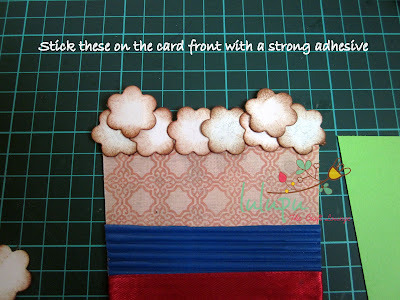 I wanted the red roses to be the center point of the card. 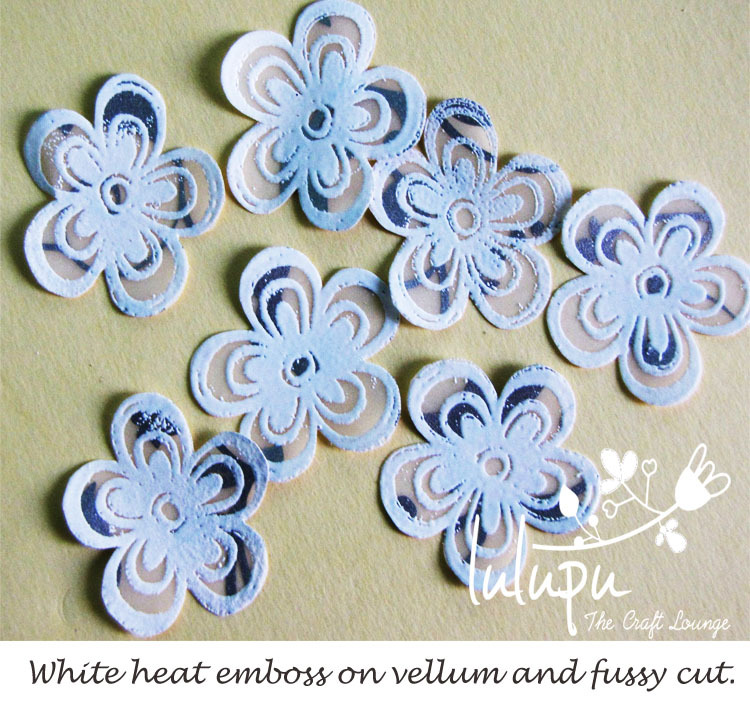 The butterfly and flower lace die cuts are a RAK from Juhi and they were perfect for this card. 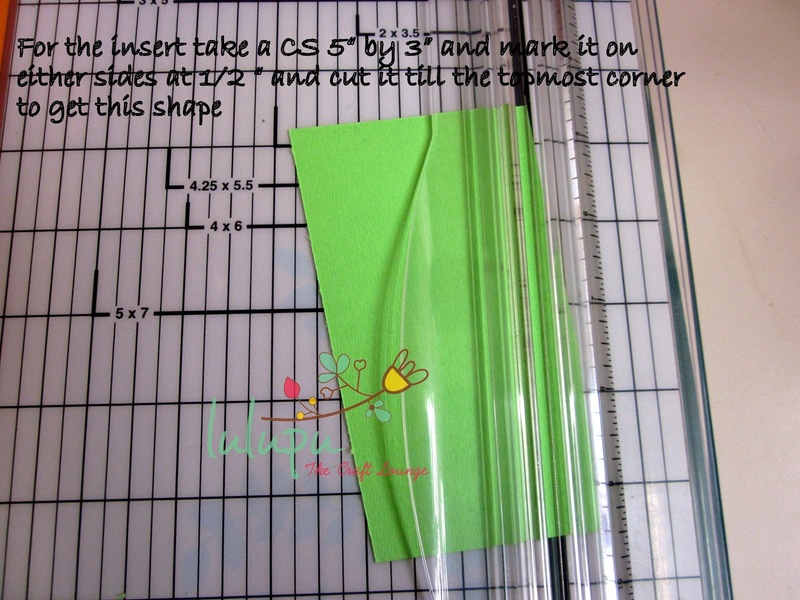 The twine is from an old price tag. 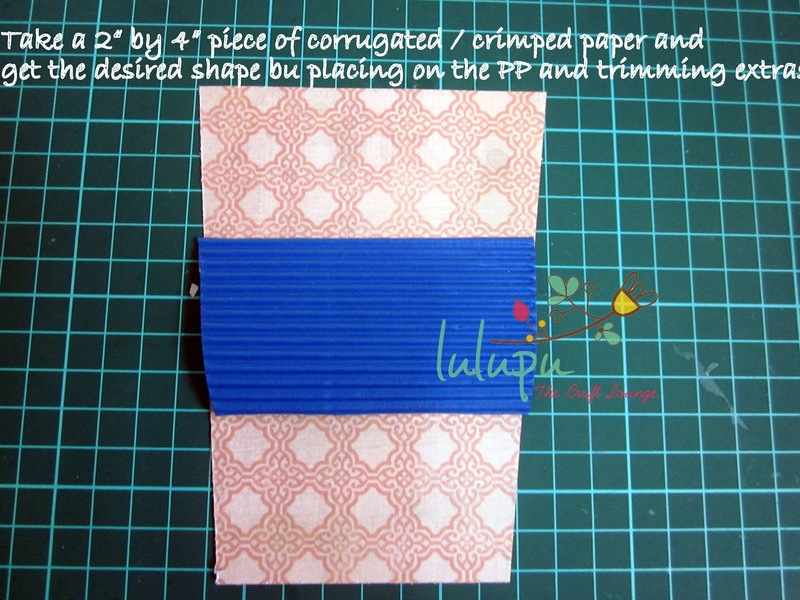 I added small cherries at two places: one on the twine and other is a 3D sticker just next to the butterfly. The MOM letters are self-sticking plastic stickers. 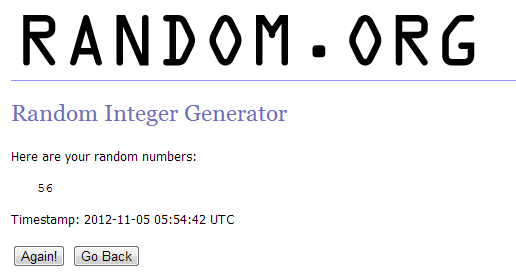 Winner of Lulupu 100 Blog Follwer Candy!! We are back with one more winner announcement! On 20th October we had launched a candy to celebrate 100 Blog Followers and today we have 122 followers! We would like to thank everyone who joined in the celebration and decided to spread the word. And as promised we have 1 lucky winner who will receive a Rs.1000 voucher plus free shipping to shop from www.Lulupu.com! We used Random.org to help us pick the lucky one......... and here is our winner!!! You have 72 hours to claim your price! Great to see some amazing entries for a very tough challenge we laid for yo last month! 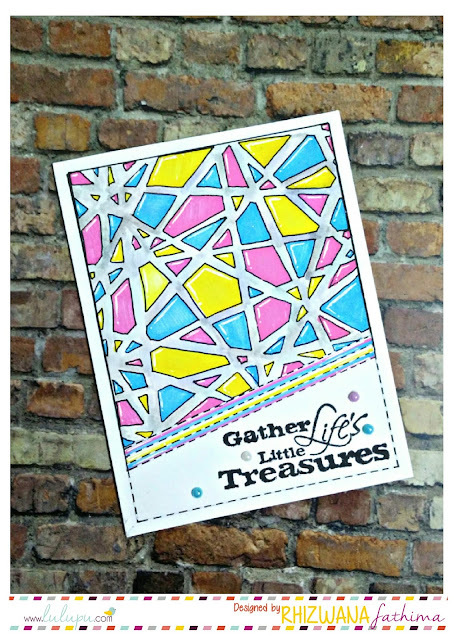 Yep our "Favourite Four" October Challenge wasn't for the weak hearted! 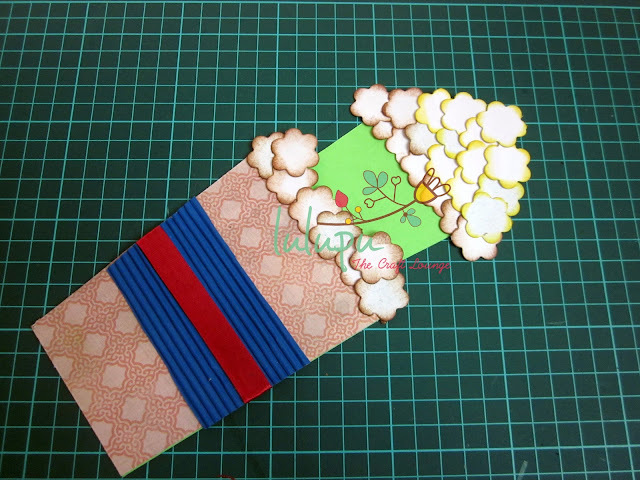 We challenged you with a 4 by 4 Bingo and sticking to all 4 elements to create a beautiful project was quite a task! But we loved all the 26 amazing entries and we would like to congratulate all the participants who bravely particapted in this tough Challenge. Please give yourself a pat on the back for being a eligible entry! Yes, we had to politely let many entries know that they had not followed our challenge and the rules properly and it does break our heart so please please please do keep up with the rules and help us to give you a chance to win! The DT took sometime to decide the winners and the top 3 which we enjoyed as finalists. So we would love to first announce the Top 3 in no particular order as always. Get ready to be wowed! 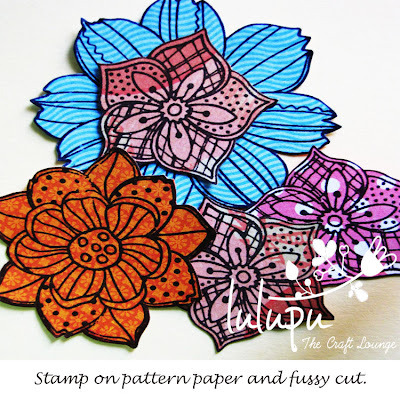 We loved how there are beautiful details like quilling, stamping, stitching pattern papers and our favourite Washi tape! All together a fantastic piece! A gorgeous card with a vintage feel. We love the embellished flowers and the feather! 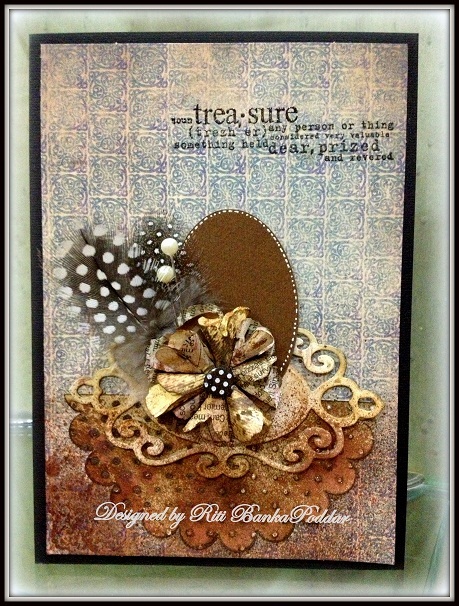 Definitely a gorgeous card! 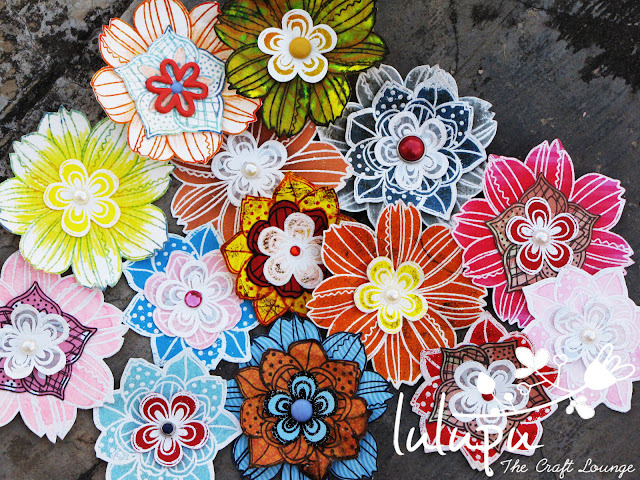 Please email us at hello@lulupu.com for your Top 3 Blinkie! And now the entry that won our heart and has won many other hearts too! 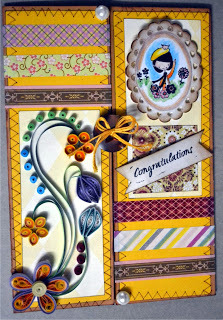 What we loved about this entry is the sheer hard work and effort which shows in this beautiful card! Its so well detailed and we love the elegant feel the flowers and butterflies add! Please email us at hello@lulupu.com with your address to receive the Goddy Bag from www.lulupu.com and your Winner Blinkie! And we have a fresh new challenge this month. 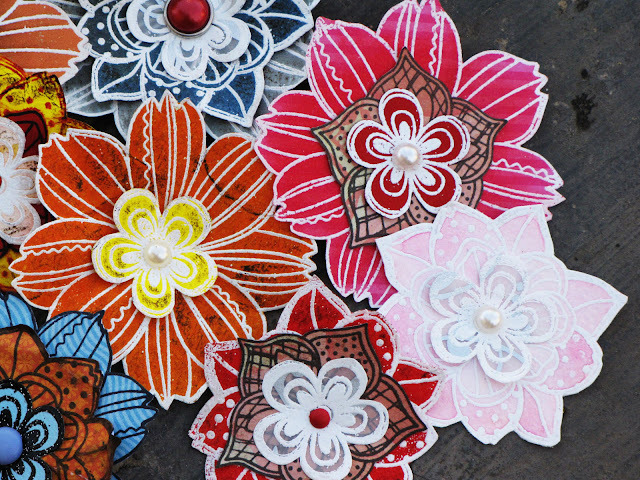 Join us for a fabulous month of Shabby Chic Shaped Cards all through November. 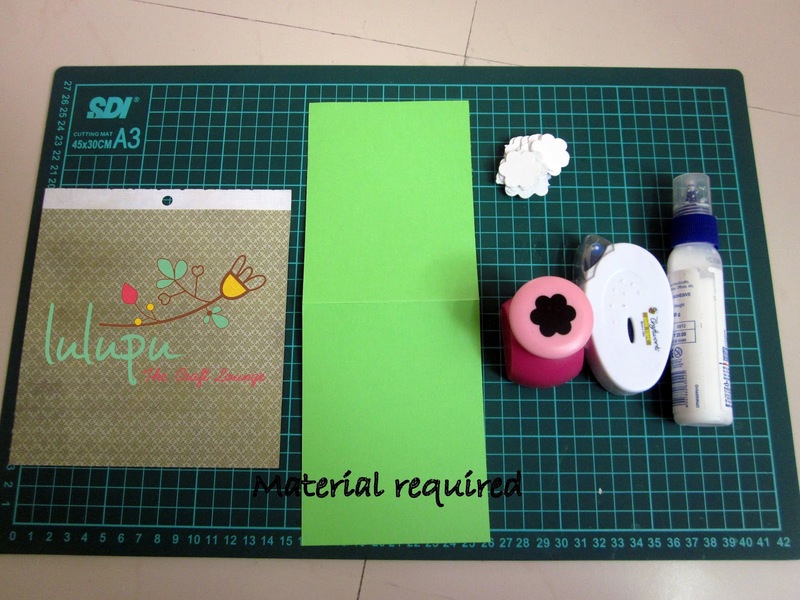 If you are new to this style of crafting then watch our DT help you with their inspiration. We would love to see what you whip up! I am back with another post and this time it is a shabby chic card which is lacy circles shaped.I have used the corrugated sheet from a card board box.I distressed the edges with fork and inked it .I have also used some heat embossingand a lace trim to give this a shabby chic look. Hope I have inspired you. 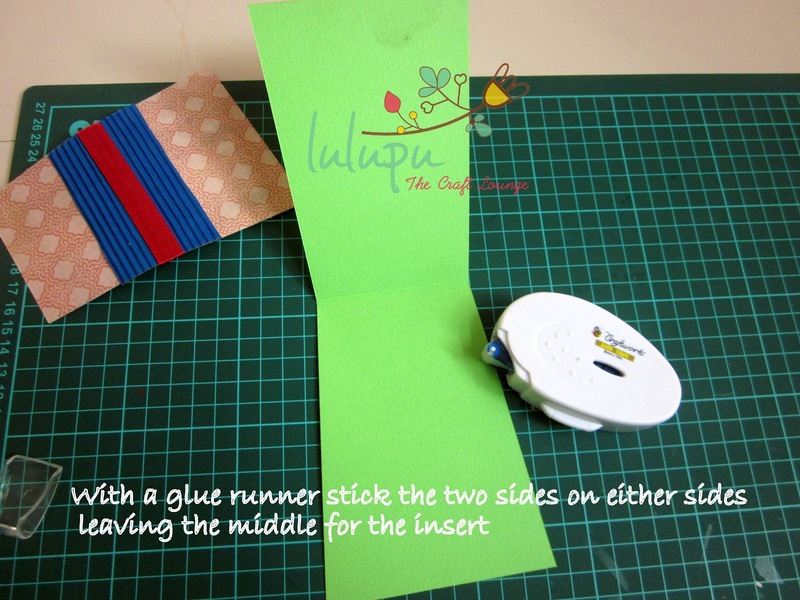 Fiskars circle cutter from Lulupu. Entering it at the PPS challenge. 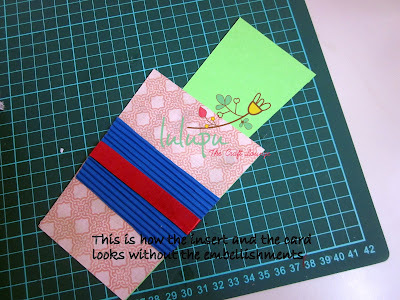 This is Shruti and I am here to share with you guys my first ever try at making a Shabby Chic card for Lulupu challenge # 6. 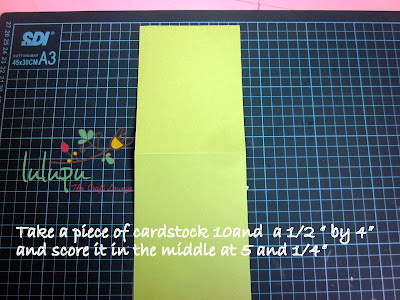 For me it was a bigger challenge as I am not the best when it comes to making shaped cards. 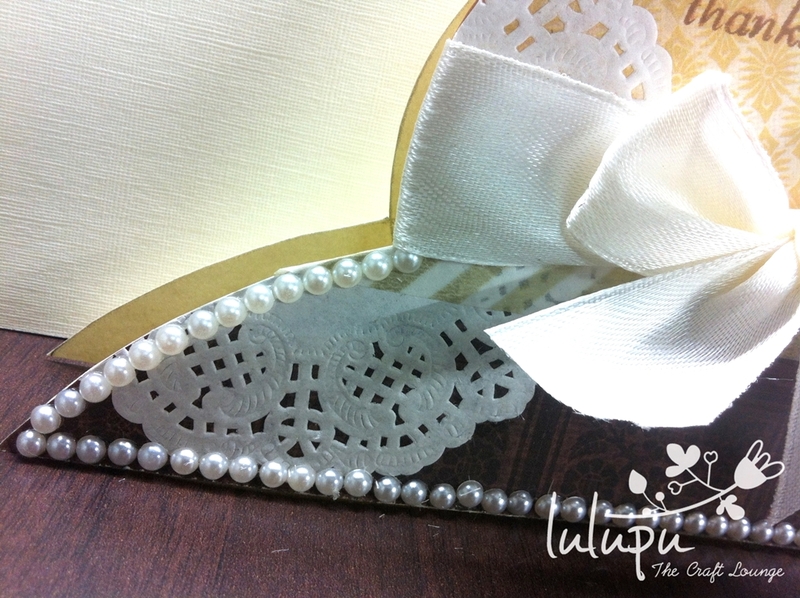 I knew when we decided on the challenge for this month that I'd either go with a butterfly or a flower shaped card.. 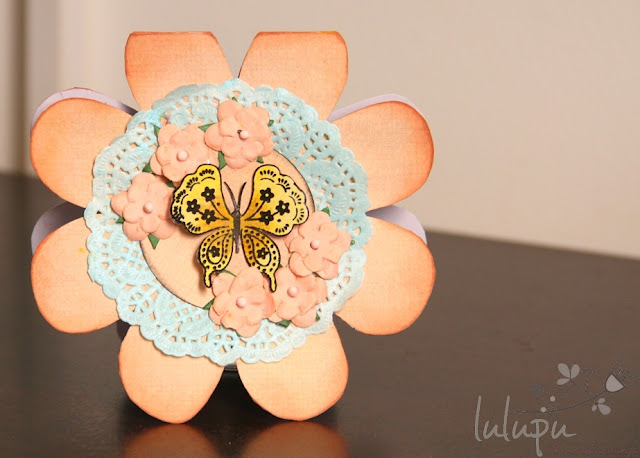 So I finally made up my mind and made a flower shaped card with a butterfly on it. hehe.. Howzzat?! This time I decided to go without any sentiment on it and keep it really simple. 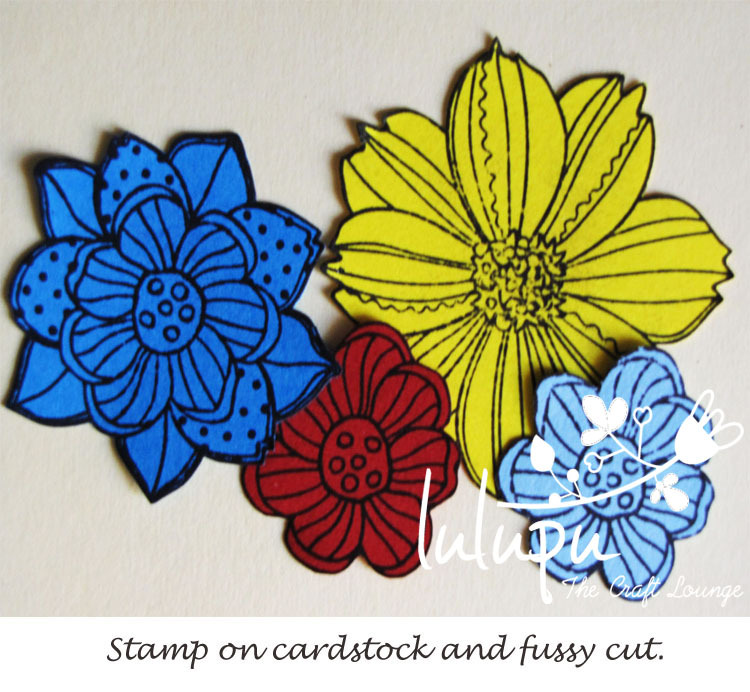 The flower shape of the card was traced and hand cut. 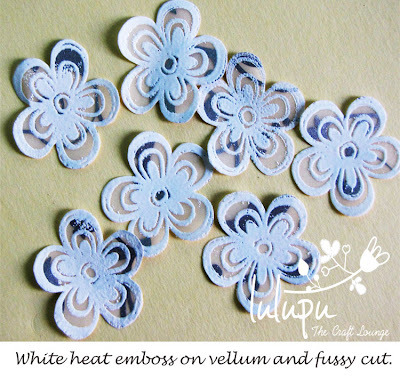 The doily as well as the edges of the flower were distressed.. 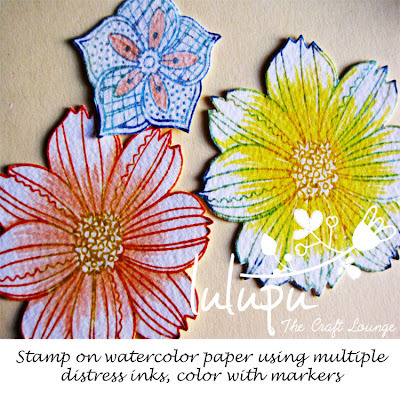 The butterfly was stamped with black ink and later colored using distress inks. 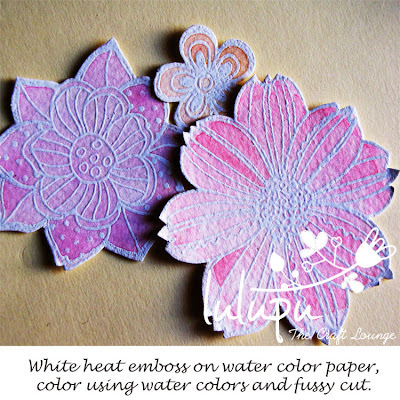 This butterfly stamp set my Micia is my favorite!! 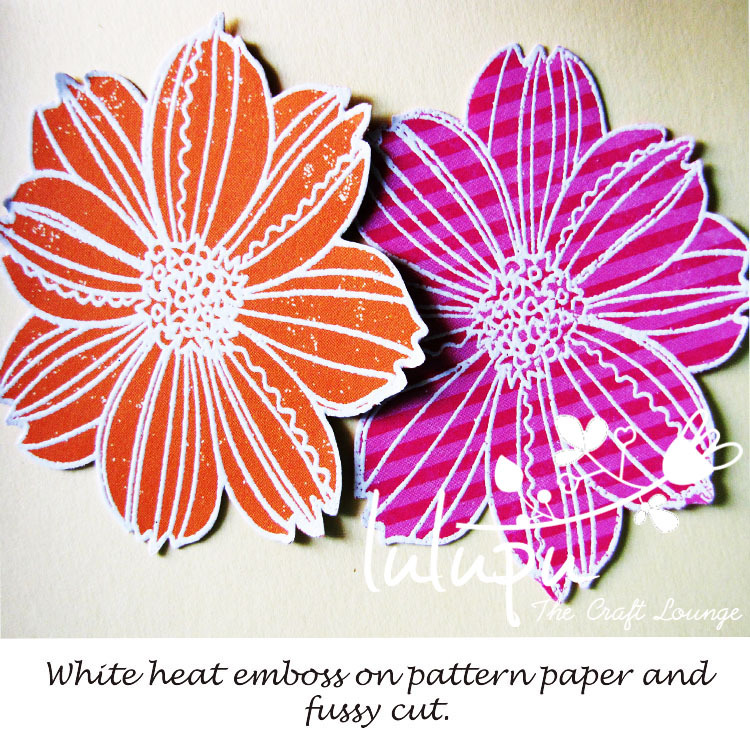 What I like about Micia stamps is that they give you a very crisp image every-time you use it. You've got to give them a try..
Anyhoo, do not forget to participate in the challenge and lose a chance to win a Lulupu voucher!! 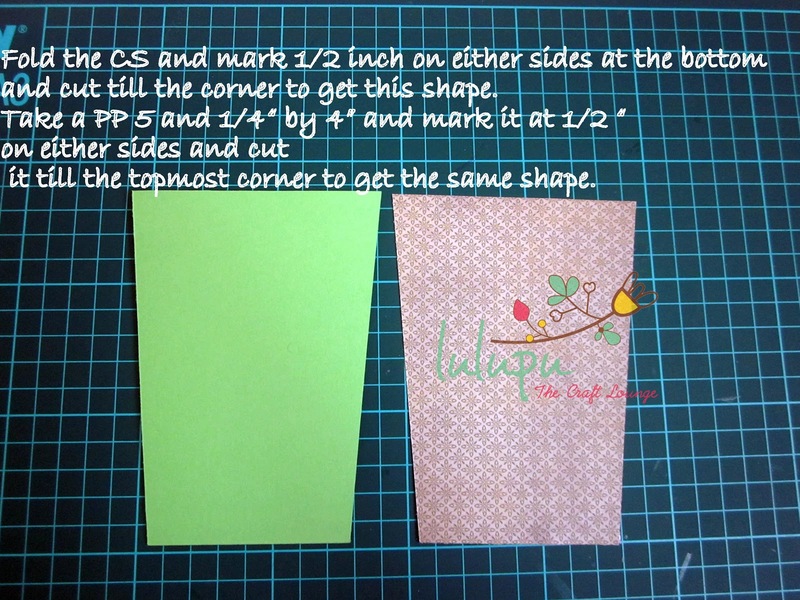 :) To know more about the challenge and to enter click the link below.